Nurse Ratched's Place: Desperately Apologizing: ABC Takes the Heat For Slamming Filipino Medical Schools. Desperately Apologizing: ABC Takes the Heat For Slamming Filipino Medical Schools. 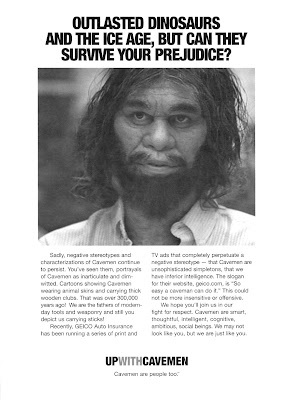 Just like Mr. Caveman, Filipinos want a little respect. There is a lot of talk going around the blogosphere about an episode that aired on Desperate House Wives in which Teri Hatcher's character slams Filipino medical schools. Personally, when I viewed the scene in question on YouTube, I thought, “Did she say what I thought she just said?” I’ve worked with many excellent Filipino doctors and nurses during my days in Chicago, and let me tell you, they are some of the best health care professionals on earth, bar none. I think that this whole brouhaha centers on two issues; the lack of cultural sensitivity on the part of ABC, and how other cultures view “Ugly Americans.” If you haven’t noticed, most of the world thinks that our foreign policy and our attitudes are pretty cocky, so I’m sure that this incident serves to fan the flames. I’m not suggesting that ABC maliciously decided to demean a group of individuals. That’s bad business. What I am suggesting is that ABC needs some cultural sensitivity training. Maybe Mr. Cavemen can act as their mentor, and get them onto the path of redemption. The odd thing for me is that most individual Americans I meet are always harping on about being positive and constructive and "moving forward" almost to a point of retching but the government is running around the world stealing oil and lining their friends pockets. That was a bad slip by ABC! Although Ms. Hatcher was only speaking scripted lines, she is not exactly a brain bank. I looked up her "Wikipedia" blurb and although her father was a nuclear physicist, it says she "attended college". We all know what that means. One semester at a junior college taking a cooking class means "attended college". No degree, it appears. I have worked with excellent Filipino nurses and their work ethic is unbelievable. Such things disgust me. Baylor Medical Center has outstanding liver transplant specialists from India. Does ABC want to put the ding on them too? I think people are just too sensitive. Geez. it's a TV show. Let it go people. Let it go.